Twanha sabin-khe bhe Cheti Chand jun lakh lakh Vadhayun, and Best Wishes for a New Year. Congratulations on your 5th Anniversary and many many to celebrate. Keep up the good work. 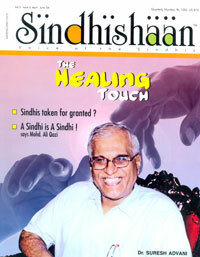 We appreciate your information and facts about what going on with Sindhi community around the world.